We are pleased to announce we have recruited five key members of the former legal team at Northern Rock, and latterly Northern Rock Asset Management plc (NRAM), to strengthen our specialist financial disputes expertise. The new Financial Institution Disputes Team will add to our breadth of specialist skills and expertise, in dealing with complex financial services disputes and Financial Services Authority (FSA) regulatory issues. The new team is led by Partner Catherine Argent, who worked at Muckle LLP a number of years ago before she worked in-house at Northern Rock plc. As the financial crisis unfolded Northern Rock was split into two businesses and during 2011 Catherine became head of the NRAM litigation team, taking them through the initial stages of integration with Bradford & Bingley. It was a period of significant change, which included the Gosforth site closure announcement and the transfer of work to Bradford & Bingley. 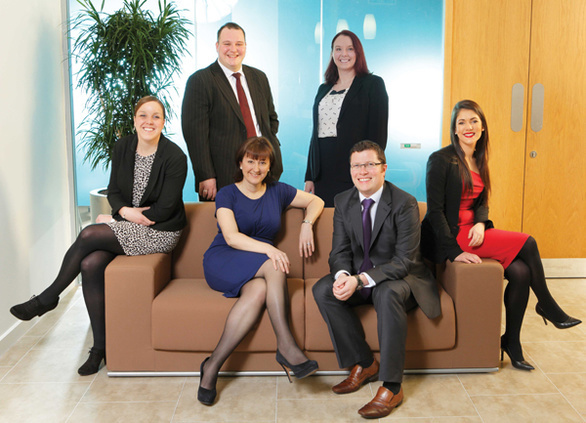 Catherine and her team have some of the region’s most specialist expertise. Their experience in managing disputes for financial institutions includes an extensive depth of financial services issues, from professional negligence, mortgage fraud and loss recovery, to insolvency, emergency applications, enforcement of guarantees and appointing LPA receivers. The new Financial Institution Disputes Team will work hand in hand with the firm’s existing Banking & Restructuring Team to advise financial institutions on regulatory issues, involving bodies such as the FSA. Catherine is joined by four colleagues from her NRAM team, including Associate Solicitor, Jamie Hardy. His expertise is in managing professional negligence recovery cases, complex fraud cases, advising on high profile commercial litigation disputes, warranty claims and insurance disputes. The other members of the legal team are Ross Gordon, Gillian Dunn and Lucy Peel. For more information about our Financial Institution Disputes Team and how we can help your organisation, please telephone 0191 211 7777 or email [email protected].